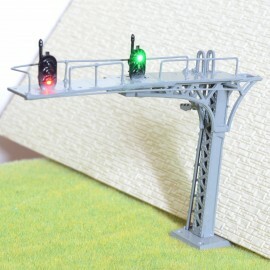 Price is for 1 complete bridge signalfor Double Tracksdouble side 3 Aspects signals on right hand( Green on top / Middle Yellow/ Red at bottom ) Characte..
Price is for 2 pcsRailroad Crossing Signals( Come with 1 circuit board falshers )HO Scale 1:873V Red 2mm LEDs madeCommon Anodethey can be lighted and flash alternati..
Price is for 1 xGreen/Yellow/Red Railroad Dwarf SignalsHO Scale 1:87 or OO scale 1:76made of LEDs with resistors and ready for 12V or 16V use Characteri..
Price is for 1 xDual Heads 3 over 3 Railroad SignalsRed/Yellow/Green/ overYellow/Green/RedHO scale 1:87 or OO scale 1:76made of LEDs with resistors and rea..
Price is for 5 pcsGreen/Yellow/Red Railroad SignalsHO Scale 1:87 or OO scale 1:76made of LEDs prewired resistors ready for 12V to 16V use Characteristic P..
Price is for 1 pcsDual Heads 2 over 3 Railroad SignalsGreen/Red over Green/Yellow/Red HO scale 1:87 or OO scale 1:76made of LEDs with resistors and ready for 12V or ..
Price is for 1 set Auto Control system with sound board and flasher boardwork for both directions will come with 2 of the above default signals, you may replace them for other signals..
Price is for 1 xGreen/Yellow/Red Railroad Dwarf SignalsHO Scale 1:87 or OO scale 1:76made of 3mm LEDswill come with resistors for 12V or 16V use Connect the resistor..
Price is for 1 xDual Heads 2 + 2 Railroad SignalsGreen/Red + Green/RedHO scale 1:87made of LEDs prewired resistors ready for 12V or 16V use&..
Price is for 1 xDual Heads 3 over 2 Railroad SignalsGreen/Yellow/Red over Green/RedHO scale 1:87made of LEDs with resistors and ready for 12V or 16V use you may..
Price is for 1 xRailroad Crossing SignalsHO Scale 1:87made with 3mm 3V red auto flash LEDwill come with free resistors for 12V to 16V DC use they can be lighted and flash auto..
Price is for 1 xGreen/Yellow/Red TRAFFIC SIGNALSHO scalemade of LEDs with resistors and ready for 12V or 16V use you may cut the resistor from the end of the wire if you ..
Price is for 1 complete Cantilever bridge signalsfor double tracks ( left side use )prewired LED for 3 aspects( Green on top / yellow in middle / Red at bottom ) C..
Price is for 1 complete Cantilever bridge signalsfor single track ( right side use )prewired LED for 2 aspects( Green on top / Red at bottom ) Characteristic..
Price is for 1 complete Cantilever bridge signalsfor single track ( left side use )prewired LED for 2 aspects( Green on top / Red at bottom ) Characteristic ..
Price is for 1 complete signals3 target facesprewired LED for 3 aspects + 3 aspects + 3 aspects( Green on top / Middle Yellow/ Red at bottom ) ..
Price is for 1 complete Grey Cantilever bridge signalsfor single trackprewired LED for 3 aspects( Green on top / Middle Yellow/ Red at bottom ) &nb..
Price is for 1 complete Cantilever bridge signalsfor double tracks ( right side use )prewired LED for 3 aspects( Green on top / yellow in middle / Red at bottom ) Characteristic Price i..
Price is for 1 complete Cantilever bridge signalsfor single trackprewired LED for 3 aspects + 3 aspects( Green on top / Middle Yellow/ Red at bottom ) &nb..
Price is for 1 complete Cantilever bridge signalsfor single track ( left hand target face)prewired LED for 3 aspects( Green on top / Middle Yellow/ Red at bottom )&n..
Price is for 1 complete Black Cantilever bridge signalsfor single track both directionprewired LED for 3 aspects + 3 aspects( Green on top / Middle Yellow/ Red at bo..
Price is for 1 complete Cantilever bridge signalsfor single track both directionprewired LED for 3 aspects + 3 aspects( Green on top / Middle Yellow/ Red at bottom )..
Price is for 1 complete Black Cantilever bridge signalsfor double tracks both directionsprewired LED for 3 aspects( Green on top / Middle Yellow/ Red at bottom ) &nb..
Price is for 1 complete bridge signalfor Double Tracksdouble side 3 Aspects signals on LEFT hand( Green on top / Middle Yellow/ Red at bottom ) &nb..
Price is for 1 complete Cantilever bridge signalsfor double tracks ( right side use )prewired LED for 3 aspects( Green on top / yellow in middle / Red at bottom ) ..
Price is for 1 complete Cantilever bridge signalsfor double wide tracks prewired LED for 2 aspects( Green on top / Red at bottom ) Characteristic Price is for 1 un..
Price is for 1 complete Cantilever bridge signalsfor double tracks 2 directionsprewired LED for 3 aspects( Green on top / yellow middle / Red at bottom ) Characteristic..
Price is for 1 XGreen/Yellow/Red Railroad Signalstrue HO scale 1:87made of LEDs with resistors and ready for 12V or 16V use You may cut the resistor from the wire if..
Price is for 1 xDouble Red Lights Railroad Dwarf Signals HO Scale 1:87 or OO scale 1:76made of 3mm LEDswill come with resistors for 12V or 16V use Con..
Price is for 1 x2 Aspects Green overRed Railroad SignalsHO Scale 1:87made of LEDs prewired resistors ready for 12V to 16V use Chara..
Price is for 1 x Green/Yellow/Red Railroad Signals3 Aspects HO or OO Scalemade of LEDs prewired resistorsready for 12V or 16V use C..
Price is for 1 xGreen/Red Railroad SignalsHO Scale 1:87 or OO scale 1:76pre-wired resistors and ready for 12V or 16V use CharacteristicPrice ..
Price is for 1 complete bridge signalfor single trackdouble side 3 Aspects signals on right hand( Green on top / Middle Yellow/ Red at bottom ) Characteristic..
CharacteristicPrice is for 1 unitsSize for each : Approx. 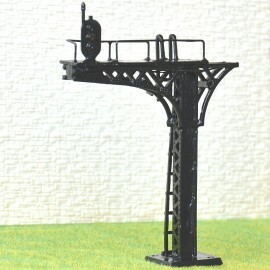 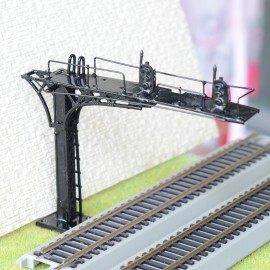 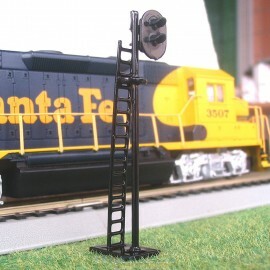 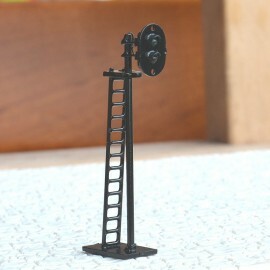 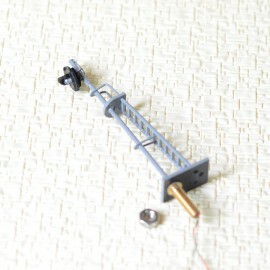 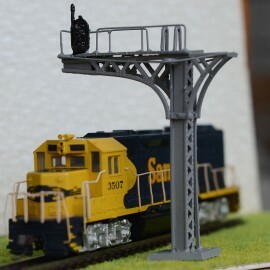 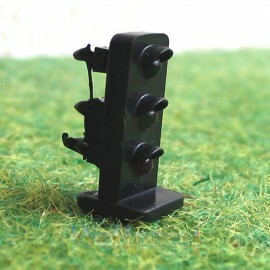 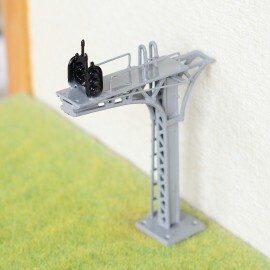 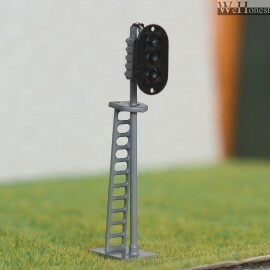 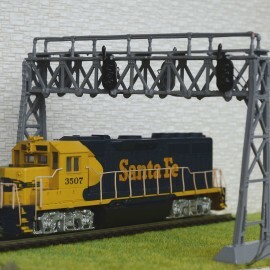 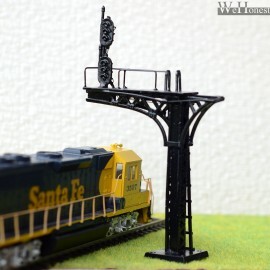 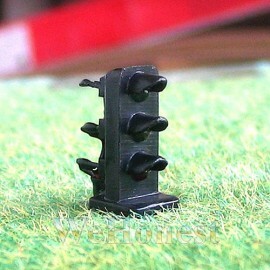 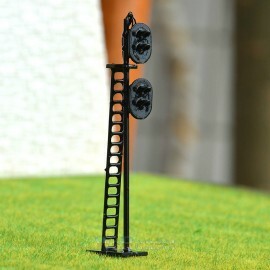 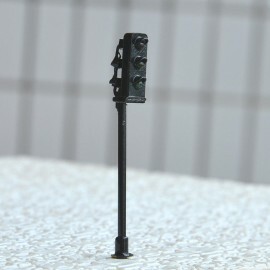 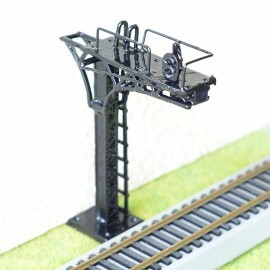 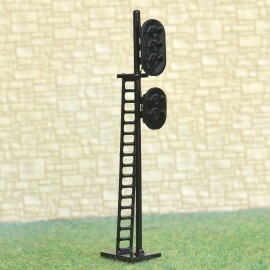 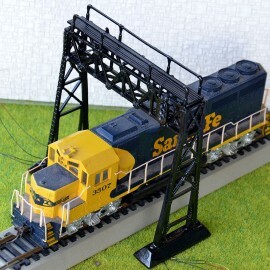 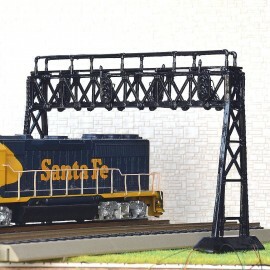 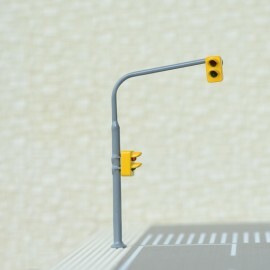 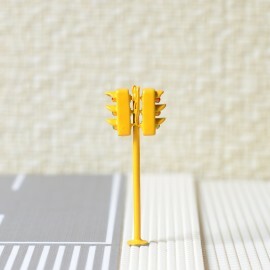 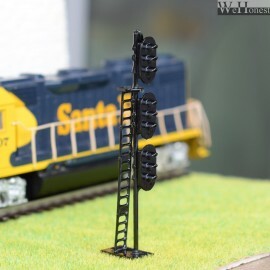 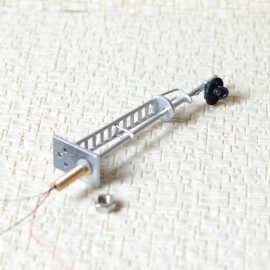 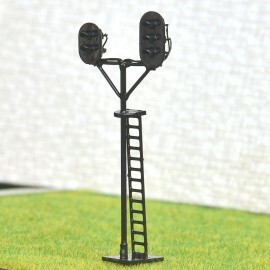 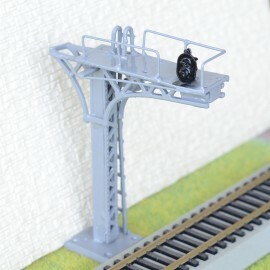 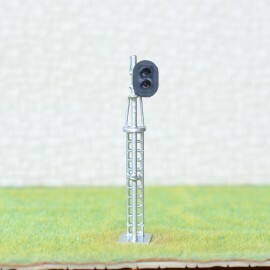 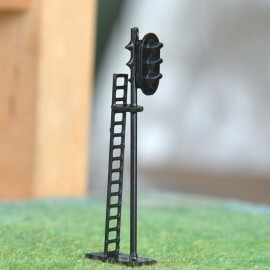 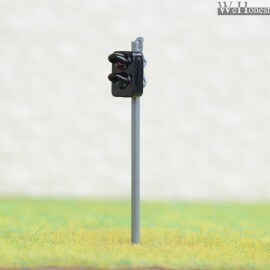 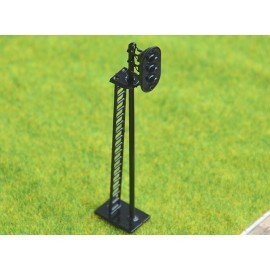 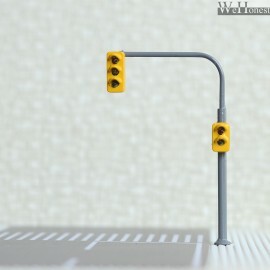 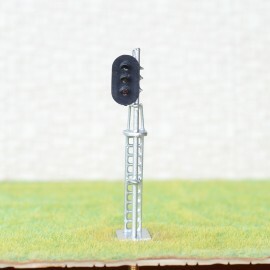 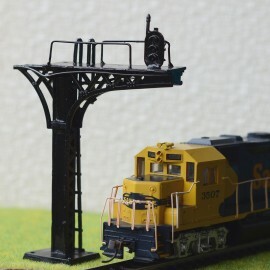 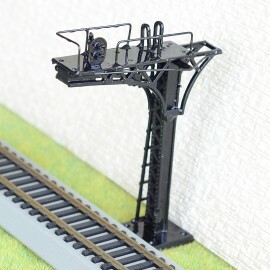 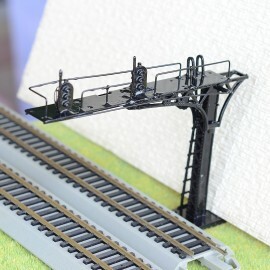 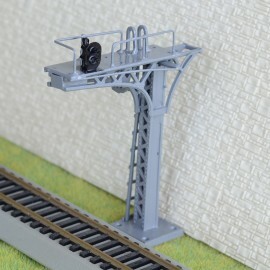 55mm or 2.17' inch Heightfor HO scale 1:87the signal head is made from PlasticBrand newPR..
Price is for 1 xDual Arms 3 + 2 Railroad SignalsGreen/Yellow/Red + Green/RedHO scale 1:87made of LEDs prewired resistors ready for 12V or 16V use..
Price is for 1 x4 Aspects Railroad SignalsYellow/Green/Yellow/Red OO scale 1:76made of LEDs prewired resistors ready for 12V or 16V use 1 Common Anode..
Price is for 1 xDual Heads 3 over 3 Railroad SignalsGreen/Yellow/Red over Green/Yellow/RedHO scale 1:87made of LEDs with resistors and ready for 12V or 16V use&..
Price is for 1 XGreen/Red Railroad SignalsHO scale 1:87made of 2mm LEDs prewired resistorsready for 12V or 16V use you may cut off the resistor from the wi..
Price is for 1 XYellow/Green/Red Railroad Signals( Yellow On Top Version )HO scale 1:87made of LEDs with resistors and ready for 12V or 16V use you may cut the resis..
Price is for 1 pcsGreen over Yellow Railroad SignalsHO scale 1:87made of 2mm LEDs prewired resistors ready for 9V to 18V use you may cut off the resis..
Price is for 1 XGreen/Red Railroad Dwarf SignalsHO Scale 1:87 or OO scale 1:76made of 2mm LEDs prewired resistorsready for 12V or 16V use Characteristic..
Price is for 1 xRed on top / Yellow at bottom Railroad Dwarf SignalsHO Scale 1:87 or OO scale 1:76made of 2mm LEDs with resistorsand ready for 12V or 16V use&nb..
Price is for 1 xGreen/Yellow/Red Railroad Dwarf SignalsHO Scale 1:87 or OO scale 1:76the water cover is longer than the old versionmade of LEDs with resistors and ready for 12V or ..
Price is for 1 complete bridge signalfor Double Tracksdouble side 3 Aspects signals on right hand( Green on top / Middle Yellow/ Red at bottom ) This lis..
Price is for 1 complete Grey signal2 Aspects Green over Red Railroad SignalsHO Scale 1:87 made of 2mm LEDs with resistors for 12V or 16V use h..
Price is for 1 complete signaltop Green/ bottom Red Railroad SignalsHO scale 1:87made of LEDs with resistors and ready for 12V or 16V use with screw base for easy..
Price is for 1 complete signal left target face: top Green/Yellow/ bottom Redright target face: RedHO scale 1:87made of LEDs with resistors and ready for 12V or 16V use ..
Price is for 1 complete signaltop Green/Yellow/ bottom Red Railroad SignalsHO scale 1:87made of LEDs with resistors and ready for 12V or 16V use Default: commo..
Price is for 1 complete2 heads Common Anode Railroad Crossing Signal with 2 tracks sign and bevel crossing( without circuit board falshers )HO Scale with screw..
Price is for 1 complete4 heads Common Anode Railroad Crossing Signal with 2 tracks sign( without circuit board falshers )HO Scale with screw base for easy installat..
Price is for 1 complete4 heads Common Anode Railroad Crossing Signal with bevel crossing sign( without circuit board falshers )HO Scale with screw base for eas..
Price is for 1 completeGrey Body Railroad Crossing Signal( Come with circuit board falshers )HO Scale 1:873V Red 2mm LEDs madeCommon Anode they can ..
Price is for 1 pcsRailroad Crossing SignalsHO Scale 1:873V Red 2mm LEDs madeCharacteristicPrice is for 1 crossing signals Size for each : Approx. 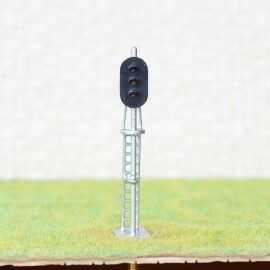 &nbs..
Price is for 1 complete2 heads Common Anode Railroad Crossing Signal( without circuit board falshers )HO or OO Scale with screw base for easy installation &nb..
Price is for 1 complete4 heads Common Anode Railroad Crossing Signal( without circuit board falshers )HO or OO Scale with screw base for easy installation &nb..
Price is for 1 complete4 heads Common Anode Railroad Crossing Signal with 2 tracks sign( come with 1 board flasher )HO Scale with screw base for easy installation &..
Price is for 1 complete2 heads Common Anode Railroad Crossing Signal with 2 tracks sign( without circuit board falshers )HO Scale with screw base for easy installat..
Price is for 1 complete4 heads Common Anode Railroad Crossing Signal( without circuit board falshers )HO or OO Scale they can be lighted..
Price is for 1 completeGreen/ Red searchlight SignalHO scale 1:87made of bi-color LEDs with resistors and ready for 12V or 16V DC use with screw base for easy installation ..
Price is for 1 XDual Heads 3 over 3 Railroad SignalsGreen/Yello Flashing/Redover Green/Yellow Flashing/RedOO scale 1:76 or HO scale 1:87made of LEDs with resistors a..
Price is for 1 x3mm LEDs made Slot Cars SignalsSteady Green / Flashing Yellow / Flashing Red for HO Gauge layouts Not includes the circuit boardBut you may..
Price is for 1 one join two IR sensors split wire with connectorfit my Master Board only Characteristic Price is for 1 units length : Approx. 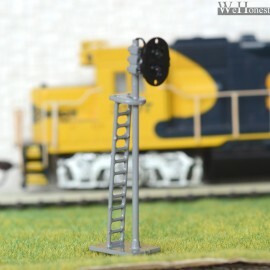 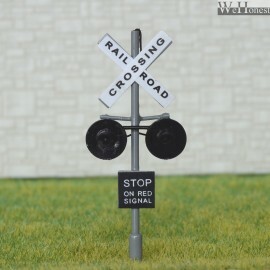 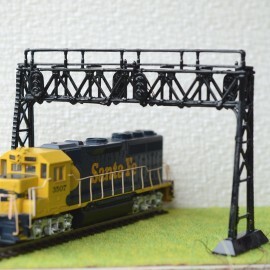 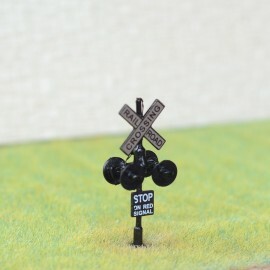 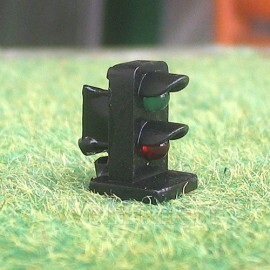 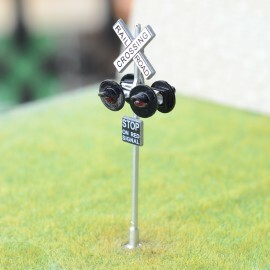 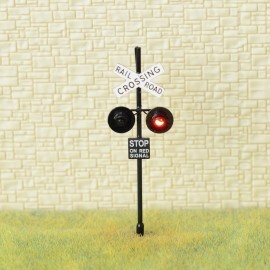 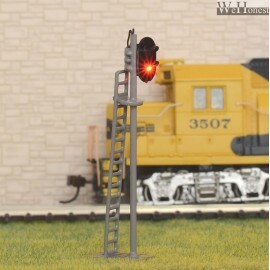 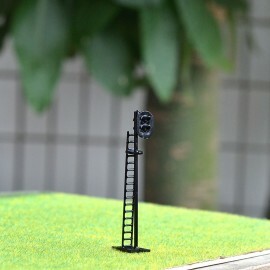 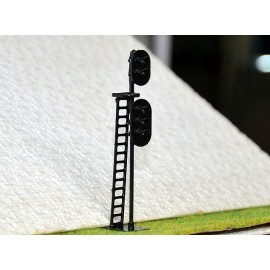 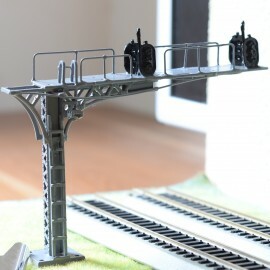 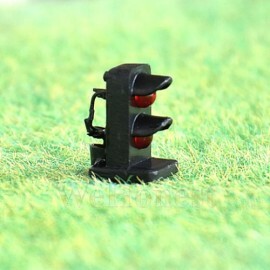 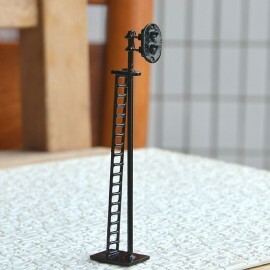 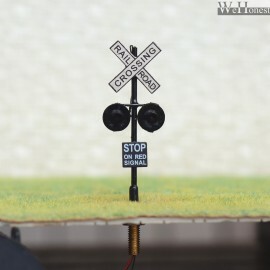 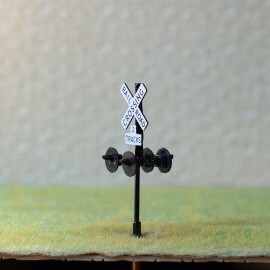 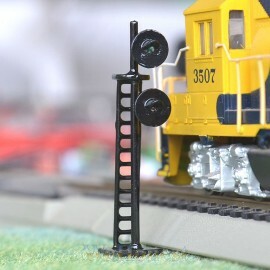 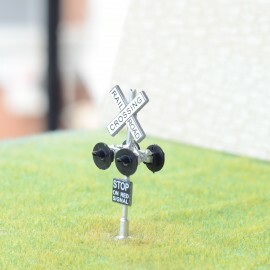 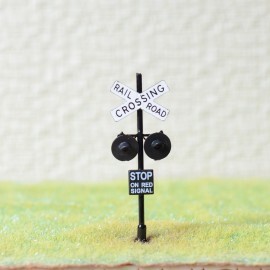 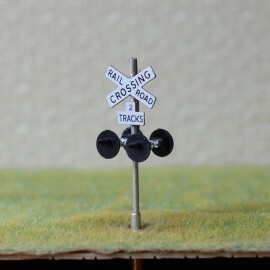 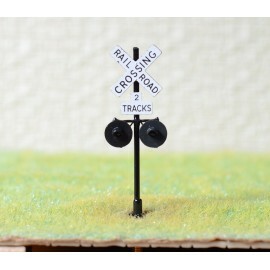 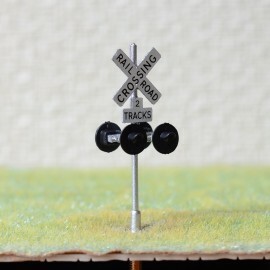 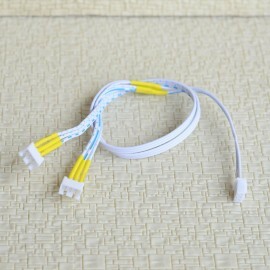 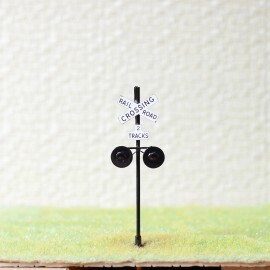 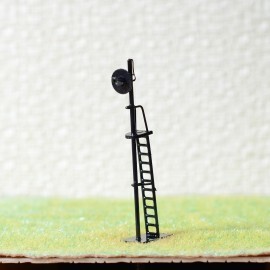 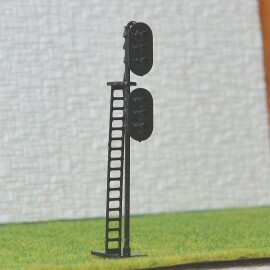 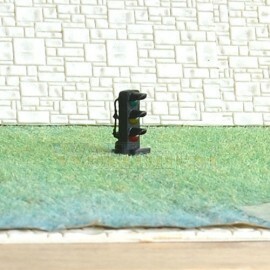 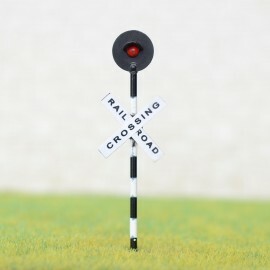 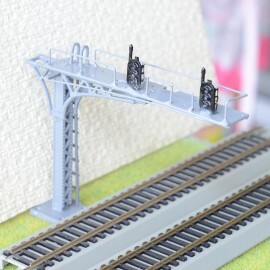 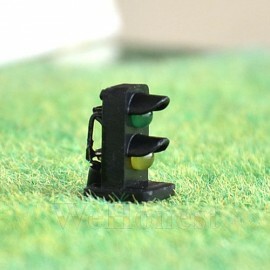 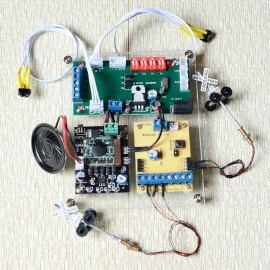 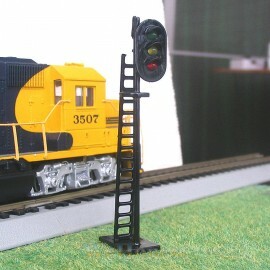 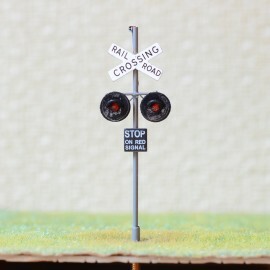 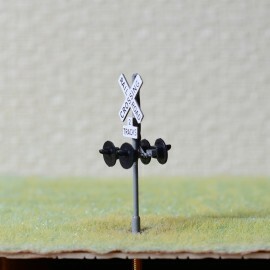 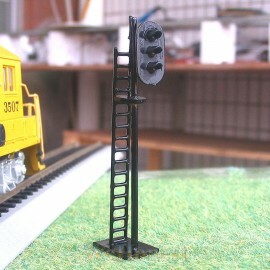 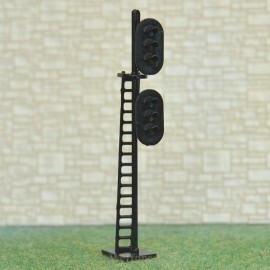 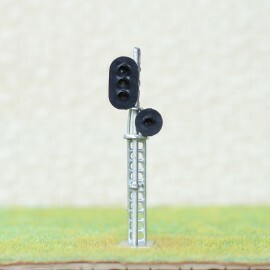 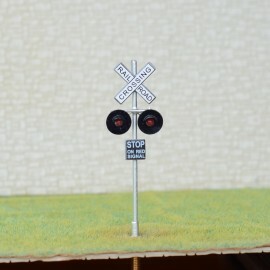 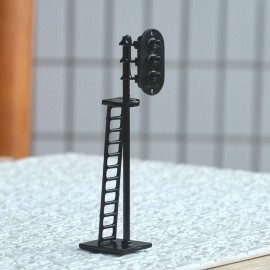 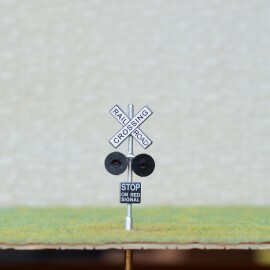 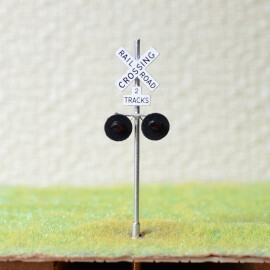 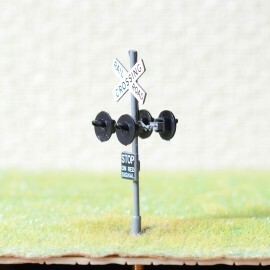 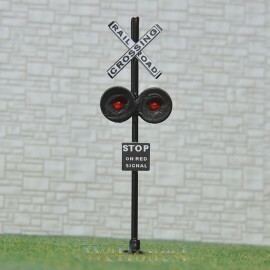 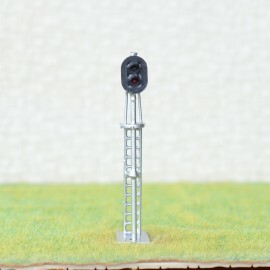 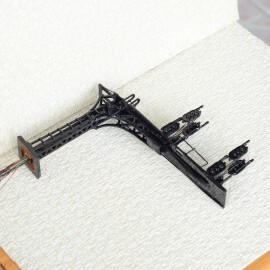 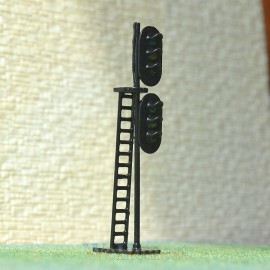 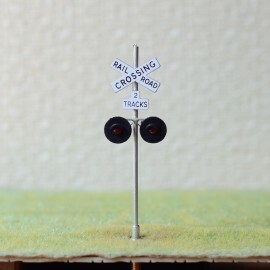 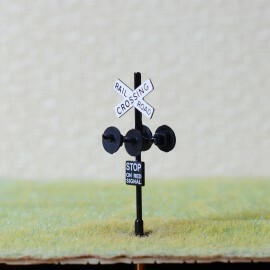 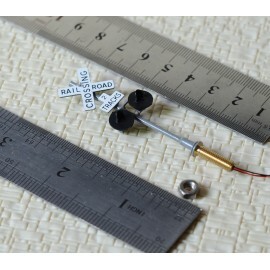 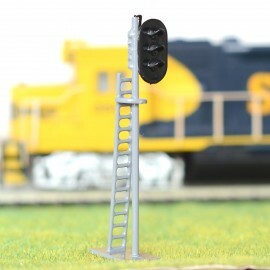 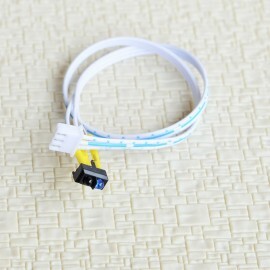 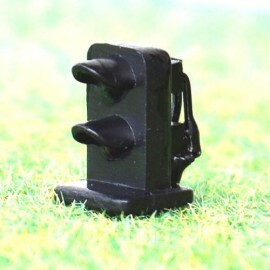 300..
Price is for 1 complete Grey signal3 Aspects Green / yellow/ Red Railroad SignalsHO Scale 1:87 or OO gauge 1:76made of 2mm LEDs with resistors for 12V or 1..
Price is for 1 completeGrey Body Railroad Crossing Signalsfor OO gauge or HO Scale layouts3V Red 2mm LEDs madeCommon Anode they can be lightedCharacteristicPr..
Price is for 1 pcs completeGreen/Red Railroad Signals in GreyHO scale 1:87made of 2mm LEDs with resistorsfor 12V or 16V use Charac..
Price is for 1 pcs completeGreen/Yellow/Red Railroad Signals in GreyHO scale 1:87made of 2mm LEDs with resistors for 12V or 16V use Character..
Price is for 1 x4 wires Railroad Crossing Signals( Not Falshing )HO Scale 1:87 or OO scale 1:763V Red LEDs made ( Pre-Wired resistors for 12V or 16V use )prewired resistors an..
Price is for 1 xGreen/Yellow/Red Railroad SignalsOO scale 1:76 or HO scale 1:87made of 3mm LEDs prewired resistorsready for 12V or 16V use you may cut..
Price is for 1 complete2 heads Common Anode Railroad Crossing Signal( without circuit board falshers )OO Scale with screw base for easy installation &n..
Price is for 1 complete2 heads Common Anode Railroad Crossing Signal( without circuit board falshers )OO Scalewith screw base for easy installation &nb..
Price is for 1 wired IR sensors with connectorfit my Master Board only Characteristic Price is for 1 units length : Approx. 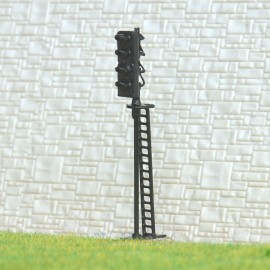 300mmBrand newPRODUCT ..
Price is for 1 complete Red over Green TRAFFIC SIGNALSHO / OO scale Gray Column Characteristic Price is for 1 complete ..
Price is for 1 completeGreen/Red + Green/Red TRAFFIC SIGNALSHO / OO scale gray Column with 5 lead wires, the black wire is common anode wire, and the color wire..
Price is for 1 completeGreen/Yellow/Red + Green/Red TRAFFIC SIGNALSHO / OO scale gray Column with 6 lead wires, the black wire is common anode wire, and the col..
Price is for 1 complete Right Red/yellow/Green + Left red/yellow/green TRAFFIC SIGNALSHO / OO scale orange Column with ..
Price is for 1 XGreen/Red Railroad Dwarf Signals 2 aspects HO Scale 1:87 or OO scale 1:76made of 3mm LEDs Pre-wired resistors for 12V or 16V use Cut off the resist..
Price is for 1 complete Cantilever bridge signalsfor single trackprewired LED for 3 aspects( Green on top / Middle Yellow/ Red at bottom ) Characteristic..
Price is for 1XGreen/Yellow Railroad Dwarf Signals 2 aspects HO Scale 1:87 or OO scale 1:76made of 3mm LEDswill come with resistors for 12V or 16V use Connect the re..
Price is for 1 XGreen/Yellow Railroad Dwarf SignalsHO Scale 1:87 or OO scale 1:76made of 2mm LEDs with resistorsand ready for 12V or 16V use ..
Price is for 1 xRed on top / Green at bottom Railroad Dwarf SignalsHO Scale 1:87 or OO scale 1:76made of 2mm LEDs with resistorsand ready for 12V or 16V use&nbs..